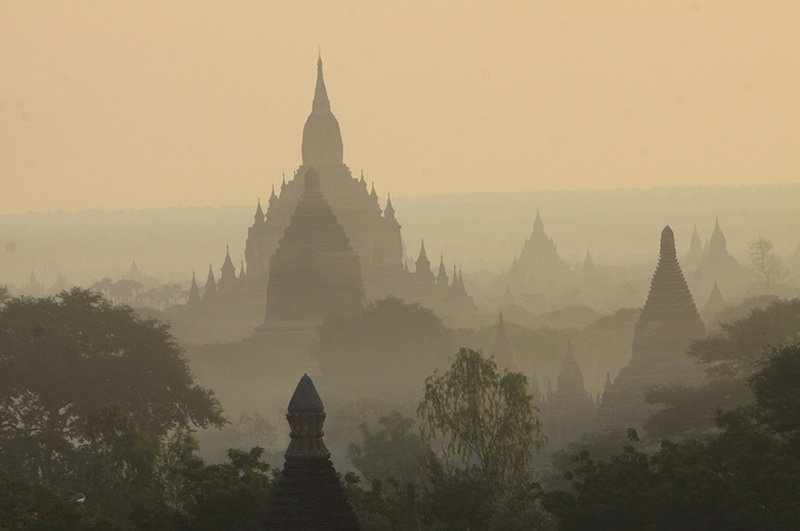 YANGON—The government has eased some restrictions on locals living within the heritage monument zone around the Bagan archaeological site, while maintaining its plan to seek a Unesco World Heritage listing for the site. In late November, locals from five villages petitioned the Ministry of Religious Affairs and Culture demanding their villages be demarcated within a buffer zone instead of the current monument zone, which is also known as the “property zone.” Locals have expressed concern that the many restrictions expected to be imposed on their villages in order to comply with Unesco’s standards for World Heritage Site listing would hurt their livelihoods and businesses. 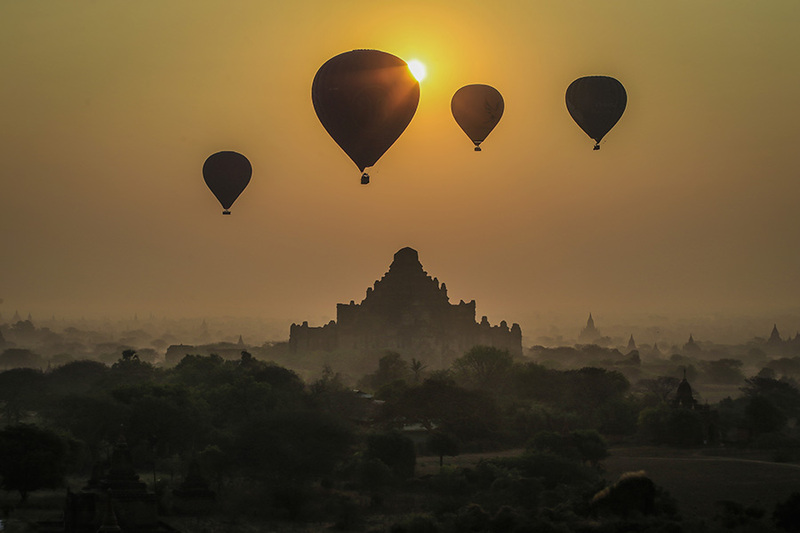 The temples of Bagan, dating from between the 9th and 13th centuries—when the Kingdom of Bagan ruled over much of lowland Burma—are considered Myanmar’s biggest tourist draw and on par with Cambodia’s Angkor Wat. Despite its historical, archaeological and cultural value, the ancient capital has yet to be granted World Heritage Site status, reportedly due to officials’ inability to present plans to deal with inauthentic restorations and controversial hotel developments in the archaeological site completed under previous governments. The ministry submitted a draft nomination dossier to Unesco’s World Heritage Site Committee in September and the final version is required to be delivered by Feb. 1, 2018. It has to provide thorough plans to fix previous mismanagement issues, including a master plan for the archaeological site in the dossier. “Regarding the locals’ petition, the [ministry] will negotiate and make amendments giving serious consideration to locals’ concerns,” the ministry said in a statement Tuesday. It emphasized that the ancient villages would remain within the property zone since ancient temples surrounding the villages have high heritage value and need to be conserved. The ministry stated that traditional businesses, expansion and construction of locals’ houses, and tourism businesses such as restaurants and homestays in the villages would be allowed. It also said that buildings in the villages would be permitted according to the same regulations as in the new Bagan and Nyaung-U cities. Construction and installation of telecommunications towers and satellite dishes would be allowed in accordance with the Heritage Impact Assessment if such infrastructure does not hinder the view of the heritage monuments, it added. U Aung Aung Kyaw, director of the ministry’s Department of Archaeology, National Museum and Library in Bagan, told The Irrawaddy that collaboration between locals and authorities is an essential element in the process of listing Bagan as a Unesco World Heritage site, adding that the ministry would not sacrifice the interests of local residents in order to achieve heritage status. “I don’t believe this will harm locals’ livelihoods. We have taken employment opportunities for them into consideration,” U Aung Aung Kyaw said. He also expressed concern that business people and hotel developers were encouraging local opposition in order to further their own plans for development projects within the archaeological site. U Aung Soe Linn, administrator of Myin Ka Bar, one of the five villages that petitioned the ministry, rejected this claim. “There are no cronies behind us,” he told The Irrawaddy, insisting that local residents were just trying to protect their own interests. He explained that villagers’ lifestyles and livelihoods would be affected over time. They are particularly concerned about restrictions inside the property zone and an increase in the number of people living in the area. In the 1990s, one of the then-ruling military junta’s most powerful leaders, Gen Khin Nyunt, oversaw the forced relocation of about 6,000 local residents of the old Bagan area away from the archaeological zone to make way for hotel projects. Local people are concerned that something similar will happen again, according to several Bagan residents The Irrawaddy talked to this week. Unesco’s national project officer for Myanmar Ma Ohnmar Myo was not available to comment for this article. 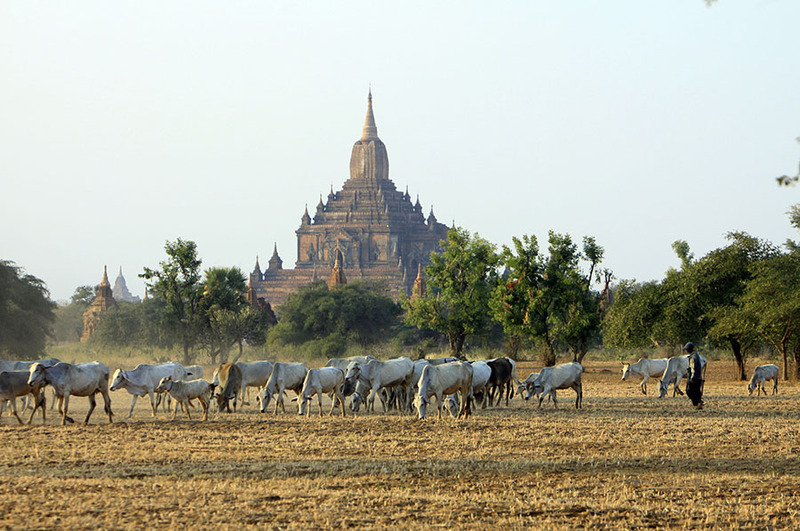 However, she told The Irrawaddy in late November that sustainable conservation of the Bagan archaeological site is not only about ancient temples and monuments, but also about the livelihoods of the local community. Authorities have to make sure that heritage properties are preserved while at the same time protecting the interests of local communities, she said.